Cherry Smyth is a poet, critic and curator, born in Ireland and based in London. Her debut poetry collection, When the Lights Go Up, was published by Lagan Press in 2001. Her anthology of women prisoners’ writing, A Strong Voice in a Small Space (Cherry Picking Press, 2002), won the Raymond Williams Community Publishing Award in 2003. A poetry pamphlet, The Future of Something Delicate, was published by Smith/Doorstop in 2005. Her second collection, called One Wanted Thing (Lagan Press), appeared in 2006. Cherry’s most recent poetry collection is Test, Orange, available from Pindrop Press. 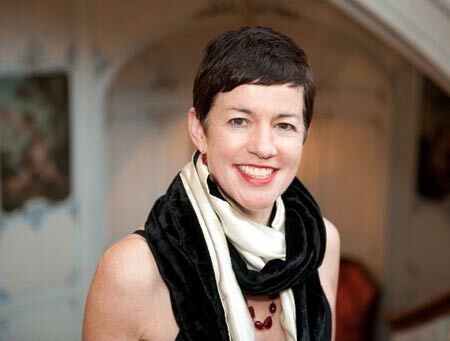 Her poems have been published in magazines and anthologies including The North, The Shop, Staple, Magma, Poetry Ireland Review, Breaking the Skin: an anthology of Irish poets (Black Mountain Press, 2002), the Velocity Apples and Snakes Anthology (2003) and Magnetic North (The Verbal Arts Centre, 2006). Cherry was a prize-winner in the 2006 Tonbridge Poetry Competition and the 2007 London Writers’ Competition. She has won prizes in the National Poetry Competition and the Cardiff Poetry Prize. Cherry was a guest editor for Magma Poetry Magazine in 2012, and was the poetry editor of Brand Literary Magazine from 2005 to 2011. She has been teaching poetry writing in the Creative Writing Department of the University of Greenwich since 2004. Her short fiction has been published in many journals and anthologies, including Blithe HouseQuarterly (Summer 2006), Scealta: Short Stories by Irish Women (Telegram Books, 2006), Chroma: A Queer Literary Journal (2004, 2006), Tears in the Fence (Vol. 35, 2003), The Anchor Book of New Irish Writing (2000) and Hers: brilliant new fiction (Farrar, Straus, Giroux, 1999). Cherry’s short film Salvage, directed by Maeve Murphy, was broadcast on BBC and RTE television in 2003. She also writes for the visual art magazines Modern Painters, Art Monthly, Art Review and Circa. Cherry has written essays on, among others, Jane and Louise Wilson, Orla Barry, Salla Tykka and Dirk Braeckman. She was a visiting critic at Braziers International Art Workshop, at the Centre for Contemporary Art in Castello, Spain, and at the Jan Van Eyck Academie in Maastricht in 2005. She was a curatorial adviser for the Axis online showcase Open Frequency in 2006. An essay on photographer Thomas Flechtner was published in a book on his work, Bloom, published by Lars Muller in 2007. More information is available from Cherry Smyth’s website. People whose work has inspired Cherry include Li Po, Wislawa Szymborska, Clarice Lispector, Helene Cixous, Anne Carson and Mark Doty. Cherry Smyth’s work as an art critic informs and shapes Hold Still. Hold Still was launched in a packed October Gallery on 7 November.